If you are a candidate for knee replacement surgery, you probably anticipate that life after the surgery will be much as it was before surgery, only without the pain. In many ways, you are correct. But change does not happen overnight, and your active participation in the healing process is necessary to ensure a successful outcome. Although you will be able to resume most activities, you should avoid activities that place excessive stress on the new knee. The following suggestions will help you adapt to your new joint and resume your daily activities safely. 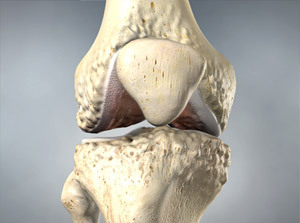 The knee is the largest joint in the body, and replacing it requires major surgery. Although you will probably want to rest after surgery, early mobilization is important. If you had considerable pain in your knee, you probably cut back on your activities before surgery and your leg muscles may be weak. You will need to build up strength in your quadriceps muscles to develop control of your new joint. Early activity is also important to counteract the effects of the anesthesia and to encourage healing. Your doctor and a physical therapist will give you specific instructions on wound care, pain control, diet, and exercise. Proper pain management is important in early recovery. Although pain after surgery is quite variable and not entirely predictable, it can be controlled with medication. Initially, you will probably receive pain control medication through an intravenous (IV) tube so that you can regulate the amount of medication you need. Remember that it is easier to prevent pain than to control it. You do not have to worry about becoming dependent on the medication; after a day or two, injections or pills will replace the IV tube. You will also have to take antibiotics and blood-thinning medication to help prevent blood clots from forming in the veins of your thighs and calves. You may lose your appetite and feel nauseous or constipated for a couple of days. These are normal reactions. You may be fitted with a urinary catheter during surgery and be given stool softeners or laxatives to ease the constipation caused by the pain medication after surgery. You will be taught to do breathing exercises to prevent congestion from developing in your chest and lungs. Initially, you will have a bulky dressing around the knee and a drain to remove any fluid build-up around the knee. The drain will be removed in a day or two. You may also be wearing elastic hose and, possibly, compression stocking sleeves. These plastic sleeves are connected to a machine that circulates air around your legs to help keep blood flowing normally. A physical therapist will typically visit you on the day after your surgery and begin teaching you how to use your new knee. You may be fitted with a continuous passive motion exercise machine that will slowly and smoothly straighten and bend your knee. Even as you lie in bed, you can pedal your feet and pump your ankles on a regular basis to promote blood flow in your legs. You may experience mild swelling in your leg after you are discharged. Elevating the leg, wearing compression hose, and applying an ice pack for 15 to 20 minutes at a time will help reduce the swelling. You may be permitted to take the continuous passive motion exercise machine home with you for a few weeks, but this is not a substitute for the prescribed exercises. > Rearrange furniture so you can maneuver with a walker or crutches. You may temporarily change rooms (make the living room your bedroom, for example) to avoid using the stairs. > Remove any throw rugs or area rugs that could cause you to slip. Securely fasten electrical cords around the perimeter of the room. > Install a shower chair, gripping bar, and raised toilet in the bathroom. > Use assistive devices such as a long-handled shoehorn, a long-handled sponge, and a grabbing tool or reacher to avoid bending too far over. Take all medications as directed. You will probably be given a blood thinner to prevent clots from forming in the veins of your calf and thigh because these clots can be life-threatening. If a blood clot forms and then breaks free, it could travel to your lungs, resulting in a pulmonary embolism, a potentially fatal condition. Because you have an artificial joint, it is especially important to prevent any bacterial infections from settling in your joint implant. You should get a medical alert card and take antibiotics whenever there is the possibility of a bacterial infection, such as when you have dental work. Be sure to notify your dentist that you have a joint implant and let your doctor know if your dentist schedules an extraction, periodontal work, dental implant, or root canal work. By the time you go home from the hospital, you should be eating a normal diet. Your physician may recommend that you take iron and vitamin C supplements. Continue to drink plenty of fluids and avoid excessive intake of vitamin K while you are taking the blood thinner medication. Foods rich in vitamin K include broccoli, cauliflower, Brussels sprouts, liver, green beans, garbanzo beans, lentils, soybeans, soybean oil, spinach, kale, lettuce, turnip greens, cabbage, and onions. Try to limit coffee intake and avoid alcohol. You should continue to watch your weight to avoid putting more stress on the joint. Once home, you should continue to stay active. The key is to remember not to overdo it! While you can expect some good days and some bad days, you should notice a gradual improvement and a gradual increase in your endurance over the next 6 to 12 months. The following guidelines are generally applicable, but the final answer on each of these issues should come from your doctor. Physical Therapy Exercises – Continue to do the exercises prescribed for at least two months after surgery. Riding a stationary bicycle can help maintain muscle tone and keep your knee flexible. Try to achieve the maximum degree of bending and extension possible. Driving – If your left knee was replaced and you have an automatic transmission, you may be able to begin driving in a week or so, provided you are no longer taking narcotic pain medication. 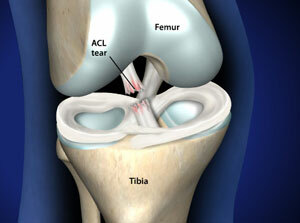 If your right knee was replaced, avoid driving for 6 to 8 weeks. Remember that your reflexes may not be as sharp as before your surgery. Airport Metal Detectors – The sensitivity of metal detectors varies and it is unlikely that your prosthesis will cause an alarm. You should carry a medic alert card indicating you have an artificial joint, just in case. Sexual Activity – can be safely resumed approximately 4 to 6 weeks after surgery. Sleeping Positions – You can safely sleep on your back, on either side, or on your stomach. Return to Work – Depending on the type of activities you perform, it may be 6 to 8 weeks before you return to work. Other Activities – Walk as much as you like, but remember that walking is no substitute for the exercises your doctor and physical therapist will prescribe. Swimming is also recommended; you can begin as soon as the sutures have been removed and the wound is healed, approximately 6 to 8 weeks after surgery. Acceptable activities include dancing, golfing (with spikeless shoes and a cart), and bicycling (on level surfaces). Avoid activities that put stress on the knee. These activities include: tennis, badminton, contact sports (such as football, baseball), squash or racquetball, jumping, squats, skiing, or jogging. Do not do any heavy lifting (more than 40 lb) or weight lifting.